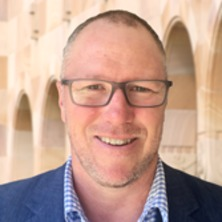 Peter is the Director of Teaching and Learning for UQ's School of Nursing, Midwifery and Social Work. He teaches across both undergaduate and postgraduate programs and is also responsible for the International Portfolio. Peter's research interests include: teaching and learning; eLearning and flexible learning; digital literacy; and interprofessional education. Working in tertiary education since 2003, Peter's responsibilities have included but are not limited to: curriculum development and implementation; internal and external accreditation processes; interprofessional teaching and cooperation; development and implementation of School strategic plans; development and management of moderation processes which ensure transparency of standards of quality in implementation and outcomes; administration of programs; maintaining and developing domestic and international partnerships with both industry and external tertiary providers; and international consultancy particular to staff developoment and capacity building, teaching and learning and curricula development and review. Crookes, P, Else, F and Lewis, P.A. (2018). Identifying and comparing signature pedagogies in the nursing and allied health disciplines. In: 7th International Nurse Education Conference (NETNEP), Banff, Canada, (). May 6-9, 2018. Lewis, Peter and Foley, David Health assessment in nursing 2nd ed. Edited by Karen Enkelaar and Caroline Hunter Philadelphia, PA United States: Wolters Kluwer, 2014. Lewis, Peter and Foley, David Weber and Kelley's Health Assessment in Nursing (Australasian edition). Philadelphia, PA, United States: Lippincott Williams & Wilkins, 2011. Lewis, P. A. (2016). Assessment of cardiovascular function. In Maureen Farrell (Ed. ), Smeltzer & Bare's Textbook of Medical-Surgical Nursing (Australian and New Zealand Edition) 4th ed. () Broadway, NSW, Sydney: Lippincott Williams & Wilkins. Lewis, P.A. and Douglas, C. (2014). Analysing data using critical thinking skills. In Peter Lewis and David Foley (Ed. ), Health assessment in nursing (Australian edition) 2nd ed. (pp. 56-62) Broadway, NSW, Australia: Lippincott Williams and Wilkins. Lewis, P. A. (2014). Assessment of cardiovascular function. In Maureen Farrell and Jennifer Dempsey (Ed. ), Smeltzer and Bare's Textbook of Medical-surgical Nursing (Australian and New Zealand edition) 3rd ed. () Broadway, NSW, Australia: Lippincott Williams & Wilkins. Lewis, Peter (2014). Heart and neck vessels. In Peter Lewis and David Foley (Ed. ), Health assessment in nursing (Australian edition) 2nd ed. (pp. 391-422) Broadway, NSW, Australia: Lippincott Williams and Wilkins. Lewis, P.A., Birgan, S. and Douglas, C. (2014). Pulling it all together. In Peter Lewis and David Foley (Ed. ), Health assessment in nursing (Australian edition) 2nd ed. (pp. 614-620) Broadway, NSW, Australia: Lippincott Williams and Wilkins. Lewis, P.A. and Coyer, F. (2014). Thorax and lungs. In Peter Lewis and David Foley (Ed. ), Health assessment in nursing (Australian edition) 2nd ed. (pp. 345-372) Broadway, NSW, Australia: Lippincott Williams and Wilkins. Lewis, P.A. and Fairhall, R. (2014). Validating and documenting data. In Peter Lewis and David Foley (Ed. ), Health Assessment in Nursing (pp. 45-55) North Ryde, NSW, Australia: Lippincott Williams and Wilkins. Lewis, P. A. and Douglas, C. (2011). Analysing data using critical thinking skills. In Peter Lewis and David Foley (Ed. ), Weber and Kelley’s Health Assessment in Nursing (Australasian version) () Broadway, NSW, Australia: Lippincott Williams & Wilkins. Lewis, P. A. (2011). Ears. In Peter Lewis and David Foley (Ed. ), Weber and Kelley’s Health Assessment in Nursing (Australasian version) () Broadway, NSW, Australia: Lippincott Williams & Wilkins. Lewis, P. A. and Seib, C. (2011). Female genitalia. In Peter Lewis and David Foley (Ed. ), Weber and Kelley’s Health Assessment in Nursing (Australasian version) () Broadway, NSW, Australia: Lippincott Williams & Wilkins. Lewis, P. A. (2011). Heart and neck vessels. In Peter Lewis and David Foley (Ed. ), Weber and Kelley’s Health Assessment in Nursing (Australasian version) () Broadway, NSW, Australia: Lippincott Williams & Wilkins. Lewis, P. A. and Coyer, F. (2011). Thorax and lungs. In Peter Lewis and David Foley (Ed. ), Weber and Kelley’s Health Assessment in Nursing (Australasian version) () Broadway, NSW, Australia: Lippincott Williams & Wilkins. Lewis, P. A. and Fairhall, R. (2011). Validating and documenting data. In Peter Lewis and David Foley (Ed. ), Weber and Kelley’s Health Assessment in Nursing (Australasian version) () Broadway, NSW, Australia: Lippincott Williams & Wilkins. Lewis, P.A. (2010). Assessment of cardiovascular function. In Maureen Farrell and Jennifer Dempsey (Ed. ), Smeltzer & Bare's Textbook of Medical-Surgical Nursing 2nd ed. () Broadway, NSW, Australia: Lippincott Williams & Wilkins. Huynh, T. P. H., Lewis, P. A., Yates, P. and Tran, T. T. L. (2013) Nurses' knowledge of chronic obstructive pulmonary disease and influencing factors. Journal of Mediciine at Ho Chi Minh City, . Ladewig, E. L. and Lewis, P. A. (2009) Central venous oxygen saturation monitoring. British Journal of Cardiac Nursing, 4 2: . Foster, M. and Lewis, P. (2007) The treatment of neonatal siezures: A critical review of the evidence. Neonatal, Paediatric and Child Health Nursing, 10 2: 11-19. Lewis, P. A., Mullany, D., Townsend, S., Johnson, J., Wood, L., Courtney, M., Joseph, D. and Walters, D. L. (2007) Trends in intraaortic balloon counterpulsation: comparison of a 669 record Australian dataset with the multinational Benchmark Counterpulsation Outcomes Registry. Anaesthesia and Intensive Care, . Lewis, Peter A., Mullany, Daniel V., Courtney, Mary and Coyer, Fiona (2006) Australasian trends in intraaortic balloon counterpulsation: results of a postal survey. Critical Care and Resuscitation, . Lewis, Peter (2005) Understanding intraaortic balloon pumping. Nursing New Zealand, 11 5: 16-17. Lewis, P.A., Courtney, M., Mullany, D. and Ballantyne, R. (2005) The impact of early recognition of cardiac decompensation in the management of intraaortic balloon counterpulsation weaning. Medicina Intensiva, 22 1: 106. Lewis, P.A., Townsend, S. and Courtney, M. (2003) Intraaortic balloon counterpulsation: A retrospective clinical audit at a major Australian cardiothoracic tertiary referral hospital - 1995-2001. Anaesthesia and Intensive Care, 31 . Intraaortic balloon counterpulsation: vasopressor weaning, the method of choice? Lewis, P. A., Chapman, H. M., Courtney, M and Coyer, F (2002) Intraaortic balloon counterpulsation: vasopressor weaning, the method of choice?. Australian Critical Care, . Tutticci, N, Coyer, F, Lewis, P.A. and Ryan, M (2016). Measuring third year undergraduate nursing students’ reflective thinking skills and critical reflection self-efficacy following high fidelity simulation. In: 14th Hawaii International Conference on Education, Hawaii, United States, (). 3-6 January. Tayyib, N., Coyer, F. and Lewis, P. A. (2015). Identifying Registered Nurses’ Attitudes and Percieved Facilitators and Barriers Towards Pressure Ulcer Prevention Strategies in the Intensive Care Unit. In: Identifying Registered Nurses’ Attitudes and Percieved Facilitators and Barriers Towards Pressure Ulcer Prevention Strategies in the Intensive Care Unit. European Wound Management Association Conference, London, United Kingdom, (). May 13-15 2015. Tayyib, N., Coyer, F. and Lewis, P. A. (2015). Identifying Registered Nurses’ attitudes and perceived facilitators and barriers towards pressure ulcer prevention strategies in the intensive care unit. In: European Wound Management Association (EWMA) 2015 Conference, London, United Kingdom, (). 13-15 May 2015. Tutticci, N, Coyer, F and Lewis, P.A. (2015). Measuring undergraduate nursing students’ reflective thinking and critical reflection self-efficacy following high fidelity simulation: A pilot study. In: The 4th International Conference on Nursing and Health Care., San Francisco, United States, (). October 5-7, 2015. Tayyib N, Coyer, F and Lewis, P.A. (2015). Testing the efficacy of a pressure ulcer prevention bundle to improve the skin integrity of ICU patients. In: The 11th Emirates Critical Care Conference in conjunction with the 7th Asia Africa Conference of the World Federation of Societies of Intensive and Critical Care Medicine, the 11th International Pan Arab Critical Care Medicine Society Conference and the 2nd Middle East Surviving Sepsis Campaign Meeting, Dubai, UAE, (). 9-11 April, 2015. Lewis, P.A., Mullany, D., Townsend, S., Courtney, M., Johnson, J. and Wood, L. (2006). IABP trends in routine cardiology: an 11 year, 669 record Australian dataset. In: 19th ESICM Annual Congress, Barcelona, Spain, (S187-S187). 24-27 September 2006. Lewis, P.A., Mullany, D. and Courtney, M. (2006). Trends in intraaortic balloon counterpulsation weaning: results of an Australasian survey. In: 19th ESICM Annual Congress, Barcelona, Spain, (S261-S261). 24-27 September 2006.